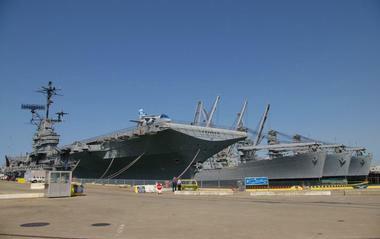 Visitors to Alameda can explore the USS Hornet and learn about the part it played in the Apollo missions, sunbathe in the sands at Crown Memorial State Beach, or learn about history, art, and culture at one of Alameda’s museums. The city is also home to some great dining and drinking options, with pubs, breweries, and distilleries that are sure to keep the excitement going for the entire duration of the visit. The USS Hornet is perhaps most famous for leading the recovery of the Apollo 11 mission in which Neil Armstrong and Buzz Aldrin became the first human beings to step foot onto the moon. 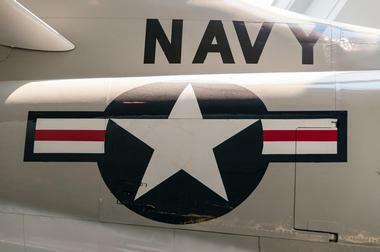 Not only does this ship show off the style and functionality of the historic aircraft carrier, it also serves as an amazing museum with exhibits and artifacts such as World War II retired aircraft and other historic jets and aircraft, as well as exhibits regarding the Apollo moon missions of the 1960s and 70s. Visitors to the USS Hornet can take a self guided tour around the hangar deck as well as the flight deck and first deck of the massive ship. 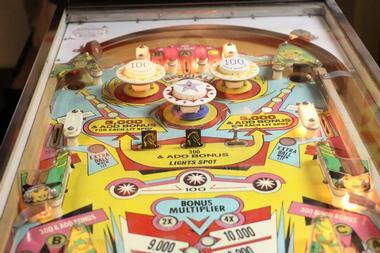 The Pacific Pinball Museum contains more than 1500 historic and unique pinball machines. At the Pacific Pinball Museum, visitors can learn about the history of pinball and other arcade games, which dates back to the 1870s, via a number of interactive exhibits and of course, plenty of pinball machines which are available for play. The Pacific Pinball Museum has over 90 machines currently on display, and the machines chosen for display (and play!) are often switched out to give guests an opportunity to play a wide variety of historic pinball games, some of which date back to the 1940s. The beach at Robert W. Crown Memorial State Beach stretches for two and a half miles along the coast of the San Francisco Bay. Its current appearance is modeled after what the beach naturally looked like before it was severely eroded away by wind and water, and new sand is added periodically to ensure that this gorgeously landscaped land remains a great place for people to spend their time. 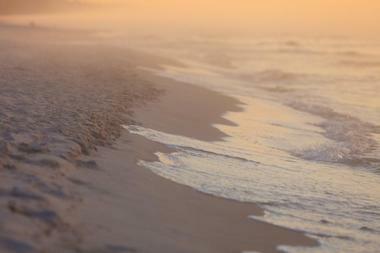 The beach has sandy dunes, manicured lawns, bike trails, and picnic areas, and is a popular place for swimming, boating, fishing, picnics, windsurfing, and kiteboarding. Located at the north end of Crown Memorial State Beach, Crab Cove is a small aquarium and education center which aims to teach its visitors about the natural marine life that can be found in the region. Inside the visitor’s center is an 800 gallon aquarium, where guests will see some of the sea creatures that call San Francisco Bay their home, as well as plenty of interactive exhibits which are perfect for guests of all ages. 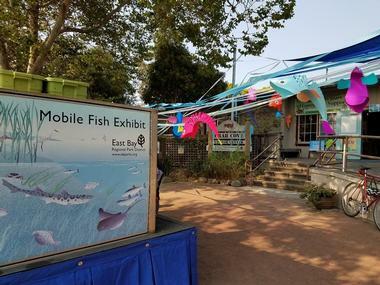 Exhibits will teach visitors about mudflats, crabs, and the beautiful, diverse world beneath the waters of San Francisco Bay. There is even an outdoor area where people can witness firsthand some of the wildlife in the Bay as the tide flows in and out. Alameda Island and Bay Farm Island are the home of Alameda, California, and this city’s bustling downtown has plenty to keep visitors busy and entertained. 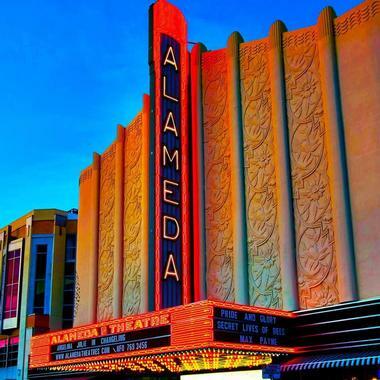 From fantastic restaurants, local boutiques and shops, and plenty of events happening, downtown Alameda is a great destination for families, couples, and solo travelers looking to escape the busier, more crowded streets of San Francisco and Oakland. Downtown Alameda’s appearance, especially that of central Park Street, is remarkably unchanged from its beginnings as a small town that grew from the rail and ferry systems. Some beautiful, historic buildings to note are the Old Masonic Temple, the Old Alameda Post Office, and the Old Alameda Theater. The Altarena Little Theater Company has been putting on quality stage productions for the local community since the late 1930s, and in 1957, they transformed an abandoned supermarket into the Altarena Playhouse. Today, the Altarena Little Theater Company has been putting on shows for over 75 years, making it one of the oldest community theater organizations in the San Francisco Bay area. 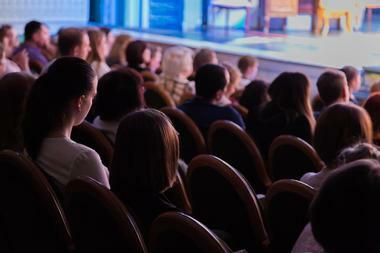 At the playhouse, visitors can see a wide variety of shows, from classic Shakespeare to new and contemporary pieces. A night at the theater is always a good time, and the Altarena Playhouse even partners with some local restaurants within close distance to the theater, so patrons can get a 10% discount and really make a night of their experience. Even just from the exterior, the bright yellow Victorian building that houses the Frank Bette Center for the Arts is clearly an artistic place. The former owner was Frank Bette himself, an exquisite expert in restoring antiques, particularly furnishings, who bequeathed the house upon his death for use as a place where people could meet, show art, discuss new ideas, and express their creativity. The Center does its very best to uphold his vision, and regularly offers classes and shows new exhibits in their galleries. From poetry slams, musical jams, and formal art shows, to workshops and demos hosted by talented craftsmen and women, the Frank Bette Center for the Arts is as beautiful and unique as its founder could ever have imagined. Built in 1932, this historic theater was constructed in the lavish and distinctive Art Deco style, and is best characterized by the beautiful and brightly lit blade-shaped sign out front, proclaiming up and down the block that this is the Alameda. The marquee and ticket booths beneath are largely unchanged from what they were like in the 30s, with a beautiful, two story foyer inside. On the upper balcony, guests can have a seat at a small table as they admire the detailed architecture, before heading in to see a movie. 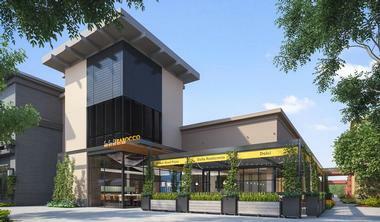 The Alameda even has a Cinema Grill, and guests can order food and drinks right to their seat. The Alameda Point Antiques Faire, also known as Antiques by the Bay, has over 800 dealers and booths selling furniture, vintage clothing, jewelry, books, home decor, trinkets, collectibles, and much more. There are plenty of antiques fairs in Northern California, but Antiques by the Bay boasts the coveted title of the largest in the region, and every item sold there is at least twenty years old, so customers can expect to find unique antiques everywhere they turn instead of wading through modern goods and flea market products. Admission varies from $5 to $15 depending on time of entry, and children under the age of 15 receive free admission. Unfortunately, pets are not allowed on the premises. 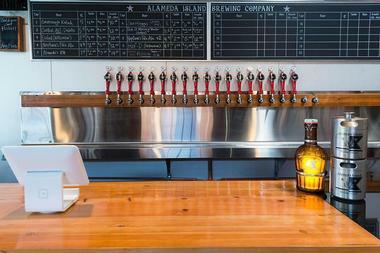 Alameda Island Brewing Company is so much more than just a brewery, with a large, family friendly tasting room where guests can hang out and enjoy themselves, and even bring their four legged friends. The full brewery, which is over 10,000 square feet in size, is available for guided tours, where visitors will see the giant mash tuns and fermenting tanks that create the delicious beer they will try. Alameda Island Brewing Company offers its beers in pints as well as flights, so guests can get a full idea of what they have to offer, and the entire staff is passionate about their products and more than happy to impart some tidbits of knowledge about the beers on tap. 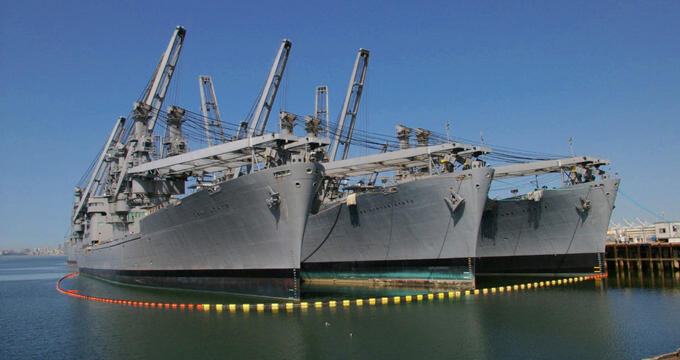 The Alameda Naval Air Base began operation in 1940 as a station point for US ships in World War II. The base closed in 1997 but today there is a museum on site to commemorate the storied history of the place and all the ships that docked and set sail from here. Visitors to the museum can view photographs, images, documents, and other archives telling the stories of the people who worked to build the base, who served in the military, and had a part in the naval base’s creation. It was a unique time and place, and visitors will discover through original newspapers from the era as well as other exhibits that the workers at the base received health care and child care, and that men, women, and minorities worked together, side by side, something completely novel for the time period. Since the founding of the Alameda Historical Society in 1948, the Alameda Museum has documented and preserved the history of the city. 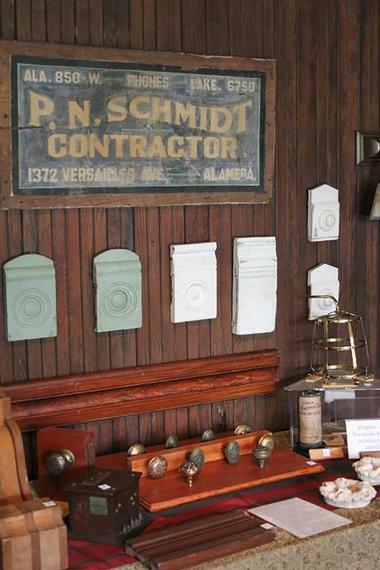 Visitors to this museum can peek into the days of the past, and discover facts and tidbits about the history of the architecture, geography, and culture of the island city of Alameda. There are several permanent displays at the museum as well as some temporary and rotating exhibits, and visitors can also take a tour of the nearby historic Meyers House & Garden, which was built in 1897 and contains a full and beautiful look at a slice of the city’s history. 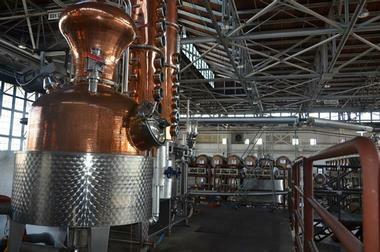 Since 1982, St George Spirits has been artfully distilling liquors and spirits such as their Terroir Gin, California Citrus Vodka, and St. George Absinthe. The distillery is a work of art, with huge copper tanks and rows of wooden barrels, and visitors can take a guided tour and tasting of the facilities for a small fee. On the tour, they will learn how St. George Spirits are made and the process that goes into distilling, then after the educational portion of the tour, they can head into the tasting room where an experienced distiller will teach tour-takers how to taste spirits as they try six of the distillery’s products, all of which are made right on site. 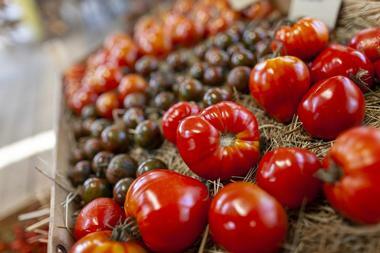 Inside Dan’s Fresh Produce, there are wooden produce stands upon which are piled heaps of fruits and veggies, shelves full of local and organic goodies, and plenty of other treats. Visitors searching for a snack should look no further than Dan’s, where they can also find unique souvenirs to bring back home, such as fresh and local pickles, coffees, sauces, candies, and baked goods. 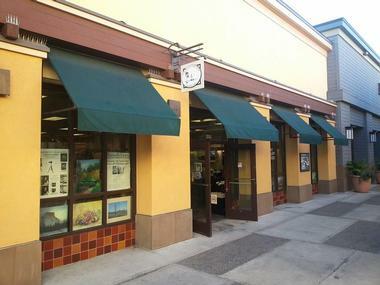 This quaint home market has a deli counter for meat and cheeses, healthy, organic, and ethical options for food, and is conveniently located in charming downtown Alameda, so it’s easily accessible during a day of exploration. Just off of Marina Village Parkway, and a short drive from anywhere in Alameda, Shoreline Park lies along the waters of the Lake Merritt Channel, a scenic estuary which provides lovely views for visitors. At Shoreline Park, guests can take a leisurely stroll or an energizing jog along the Bay Trail, where they will find great views of the water, Alameda, and the city of Oakland on the opposite shore. These trails are also open for bicyclists to use, and are well paved and frequented by solo walkers, couples, families, tourists, and locals. Shoreline Park is accessible from two locations: the Pacific Marina, and the Marina Village Plaza. The Posey Tube is one of a pair which, together with the Webster Street Tube, connect Alameda Island with the city of Oakland for vehicles. The tunnels run beneath the Alameda-Oakland Estuary, and the Posey Tube, which was the original, has been in use since 1928. The Webster Tube was built to supplement the Posey Tube in the 1960s after the traffic load between Oakland and Alameda increased to more than the Posey Tube could handle on its own. 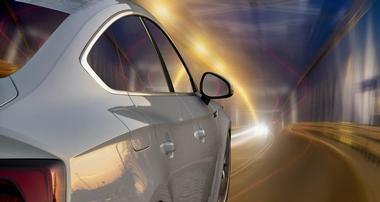 The Posey Tube is the second oldest underwater tunnel for vehicles in the United States, after only the Holland Tunnel which connects New Jersey to the island of Manhattan. Originally founded in 1944, the Alameda Art Association was created to encourage creativity and visual arts in the city’s people. 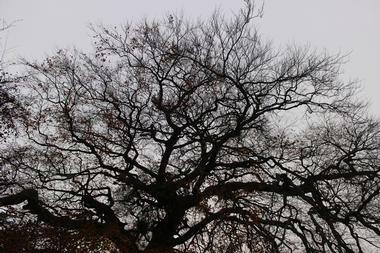 For over six decades, the Alameda Art Association has sponsored artists, shows, and art of many disciplines and styles, and prides itself on being an inclusive, non-political establishment. 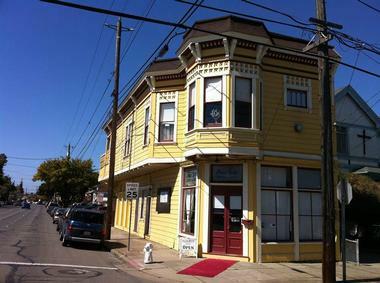 At the Alameda Art Association Art Gallery, visitors can check out some of the amazing art that the association shows, much of which is available for sale. Visiting the gallery is a great destination in and of itself, but the art inside makes a perfect and memorable souvenir of a trip to Alameda. It’s no surprise that after visiting the art galleries and artistic museums of Alameda, visitors might feel their creative juices flowing, so Pinot’s Palette in Alameda is there to help. 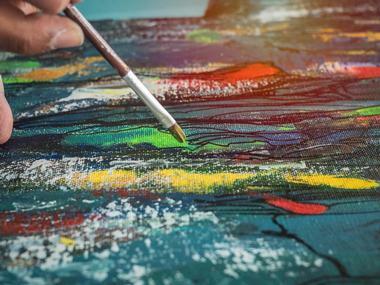 At Pinot’s Palette, guests can take a guided painting class to create their own work of art. It’s a great way to spend an evening with friends or family, and for those who are a little bit shy or uneasy about painting, there is plenty of wine and other alcohol to really loosen you up and allow your creative side to run free. A schedule of classes, including example images of the paintings for each evening, can be found on the Pinot’s Palette website. Italian food doesn’t get much more authentic than Trabocco. This delicious restaurant’s owner and head chef was born and raised in the Italian mountains in the Abruzzo region, and he brings his fantastically authentic dishes to his business in the form of perfectly crafted pizzas, locally sourced ingredients and seafood, and amazing wines and cocktails from the bar. All of this and more is served in a comfortable, chic dining space, where guests can sit in booths or at a long, wooden communal table amidst a 35 foot towering fireplace, vintage Italian decor, and even some counter seats that look directly into Trabocco’s open kitchen, so guests can see where all the action happens. 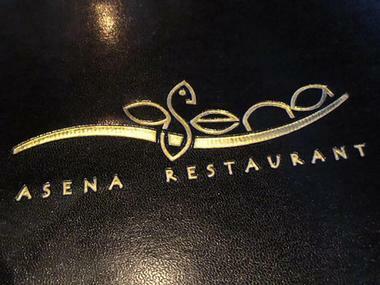 Asena Restaurant was founded by Mustafa Yildirim and Muhittin Arpaci, two Turkish expats who brought their home country’s spectacular cuisine and culture to Alameda with Asena. Inspired by the Mediterranean in both food and atmosphere, Asena uses seasonal ingredients in their oft-changing menu to create dishes that speak to the tradition and culture of the Mediterranean region with a decidedly Californian twist. In addition to the amazing menu, Asena also offers a diverse cocktail and wine list, from which customers can order the perfect drink to go with their seared haloumi, medjool dates, or Mediterranean paella. From delicious street tacos and chimichangas to massive burritos and chile rellenos, La Penca Azul is a fabulous mexican eatery with locations on both Alameda Island and Bay Farm Island. Everything on the menu is delicious, and for those who have trouble deciding, La Penca Azul also offers combination dishes with small servings of several entrees on each. 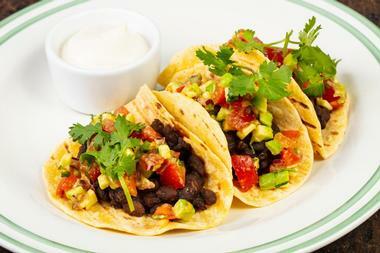 The restaurant also boasts an extensive and spectacular selection of tequilas, with weekday happy hours from 2pm to 6pm on Monday through Friday for dine in customers. Customers can enjoy a refreshing margarita, mojito, or Mexican beer with their food as they relax in the restaurant’s comfortable and colorful dining room or out on the patio. Rock Wall Wine Company, located on the decommissioned Alameda Naval Air Base, is named for the rock wall which was built in World War II to protect the San Francisco Bay from attack by Japanese torpedos. While torpedos are thankfully no longer a threat, the wines themselves at Rock Wall Wine Company could easily be described as ‘the bomb’. Grapes used in Rock Wall’s wines come from all over California, carefully selected by the winery’s expert head winemaker to create the most delicious and unique vintages possible. 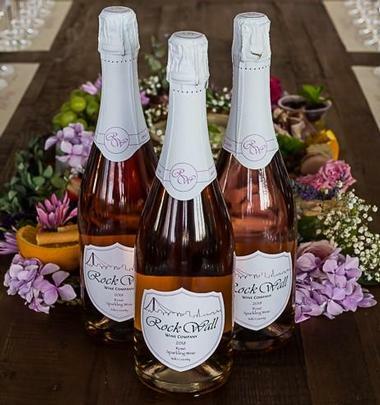 Wines are made and fermented in the 40,000 square foot hangar space of the former air base, and visitors are welcome to check out the space and enjoy a fantastic glass of wine in Rock Wall Wine Company’s tasting room. The Alameda Naval Air Base was decommissioned in the late 1990s, but left behind a whole lot of empty space. 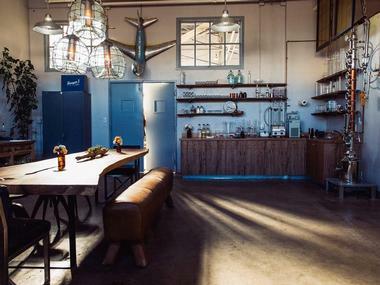 Much of the former air base has been repurposed into shops, breweries, wineries, and restaurants, and Hangar 1 Distillery is no exception. This female-headed company relies on the expertise of Caley Shoemaker, who distills amazing, top quality vodkas using local, fresh California ingredients. The tasting room at Hangar 1 is open Thursday through Sundays, and visitors can take a tour of the facilities during one of the daily scheduled guided tours before sampling some of Hangar 1’s products and enjoying a refreshing drink. 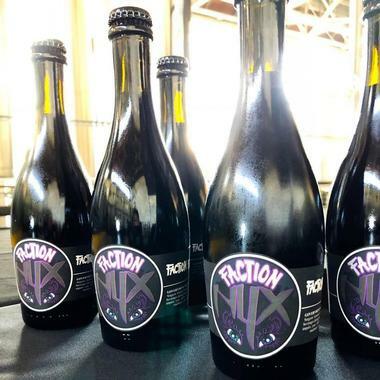 Yet another alcoholic production company that has made the former Alameda Naval Air Base its home, Faction Brewing’s tasting room is industrial and spacious, with high ceilings, wall to wall murals, and elements like wooden barrels, stacked pallets, and stainless steel tanks along the walls and corners. The 20 barrel brewhouse is still expanding, and visitors can expect to find at least 20 types of beer on tap during their visit, from stouts to the local favorite A-Town Pale, which is only sold in Alameda. There is a 4,000 square foot patio at the brewery as well as plenty of indoor seating, and visitors are welcome to bring well behaved children and dogs while they enjoy a fresh pint of beer.